The XVIII. 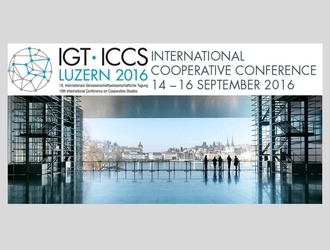 International Conference on Co-operative Studies will be held at the University of Lucerne from 14 to 16 September 2016. In this context a Call for Papers is organised ( please click HERE). For any further information, please follow this link.